Imagine as a parent your child becoming injured at a trampoline park because no one taught him or her how to safely enjoy the activity, or because no one was supervising the facility, or because of the facility's poor design. Unfortunately, that's just the case for too many parents. A few weeks ago, parents posted a warning on Facebook about the perils and dangers of young children jumping on trampolines. The post went viral, and it has caught the attention of the media. First, the Washington Post published an article with some interesting and eye-catching data. Then, Slate did some follow up work looking at the raw data, and the risks trampolines pose. In fact, our office has represented injured children in these types of cases and can speak to the injuries frequently caused by these activities to the legal issues that surround each of these cases. First, some statistics help demonstrate just how dangerous trampoline jumping can be. The Washington Post claims a fact from the Consumer Product Safety Commission that "there were more than 100,000 emergency room-treated trampoline injuries in 2014." And, between 2000 and 2009, there were at least 22 reported trampoline injury-caused deaths. Slate, though, wanted to estimate the risk of trampolines, pointing out that those numbers sound high, and are in fact high, but do they represent kids jumping on trampolines for 30 minutes every couple months, or two hours a day? Slate then compared the ER visits caused by trampoline injuries to other products and dangerous activities. "For instance, 80,831 ER visits in 2016 were due to injuries from the use of playground climbing equipment." Although that number is 20% less than the trampoline induced injuries, Slate argues that there are probably significantly many more hours spent on playground equipment than trampolines. So, it concludes, "trampolines are far more dangerous per hour of use," than playground climbing equipment. As a general note, every authority reports and agrees that the injuries from trampolines can be severe. In general, injuries from jumping on trampolines are caused either by landing on something other than the mat of the trampoline or by the forces involved when the mat responds and recoils to the jumper. According to the Slate article, "trampoline injuries tend to be more severe than injuries caused by other notably dangerous activities." It compares, for example, that in Canada, 12.4% of trampoline injuries required hospital admissions, ranked second only behind downhill skiing, which 12.9% of injuries caused hospital admissions. Notably less dangerous regarding hospital admissions were activities like snowboarding, bicycling, sledding, skateboarding, ice hockey, and football. The other note about injuries from trampolines is that trampoline parks are the largest culprit of severe injuries among trampoline activities. It highlighted a study from 2016 that found that "while far more kids get hurt on trampolines at home - probably in part because kids spend more time trampolining at home - the number of ER-worthy injuries that happened at parks rose almost twelvefold" from 2010 to 2014. To that end, "the types of injuries that afflict kids at home versus in these parks differ, too: Kids at home tend to sustain more head injuries than kids in parks do, while kids at parks tend to suffer more lower-body injuries, including broken bones and sprains." Despite the data that suggests injuries are frequent and often severe, merely because a child is injured at a trampoline park does not mean, necessarily, that the trampoline park is liable. The many theories of liability in these cases must be carefully evaluated. First, there is the potential for premise liability on behalf of the trampoline park. If there is a particular condition of the property that is dangerous and causes an injury, the landowner may be held responsible for that injury and damages. Second, there may be a product defect with the trampoline. Typically, only an expert can opine on the quality of a product like a trampoline when it was in use at the time of the injury. Third, many common law negligence claims allege the trampoline park failed to satisfy a duty it owes to the public that it invites to the park. For example, it may be that the park negligently hired or trained its employees. Or, potentially the park negligently supervised the activities of the children jumping on trampolines. On this point, the International Association of Trampoline Parks recommends as an industry standard that there be one supervisor per trampoline. But, once liability may be attributed to the trampoline park, there are still strong defenses frequently raised by smart trampoline parks. In almost every case, there will be an issue about a pre-activity release that purports to waive a claim of an injured participant. Some of these waivers go so far as to attempt to preclude parents from bringing claims on behalf of the children. The strongest waivers will include an indemnity provision, whereby the release may not matter as much because whatever liability may exist is agreed to be covered by the parent indemnifying the park. Also, the jumper is often said to have assumed the risk and dangers that come with jumping on trampolines. There is advice offered by several authorities on trampoline jumping. 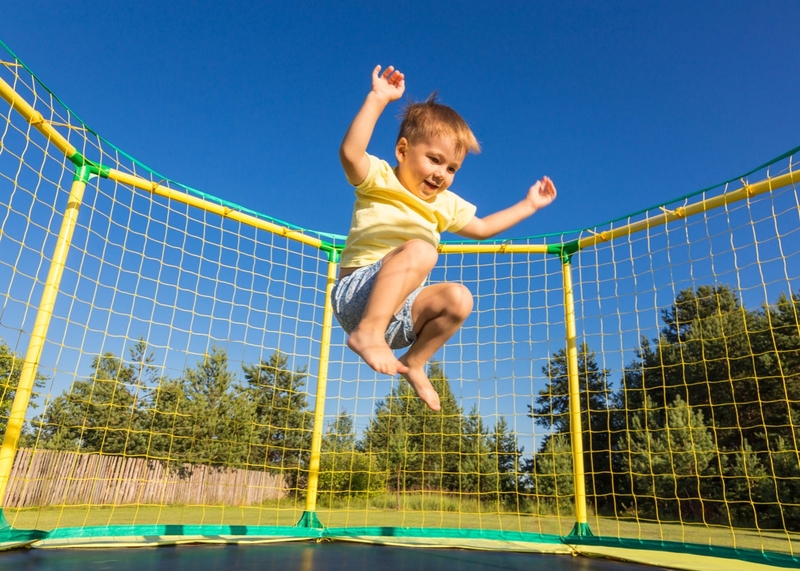 The American Academy of Orthopaedic Surgeons recommends that children under six years old should not use trampolines. The American Academy of Pediatrics goes further and recommends that trampolines should not be for leisure and entertainment, but rather only used "in supervised athletic training programs." Regardless, when injuries are sustained by jumping on trampolines, especially at trampoline parks, they are often severe and life altering. It is wise to seek legal counsel for any potential recovery in the event of an injury that occurred at trampoline parks. If you or anyone you know has been injured at a trampoline park, give us a call at 512-562-7000 for a free consultation.